Posted on November 4, 2013 by Ronald Patrick Raab, C.S.C. Sacred Heart Church, Colorado Springs, CO Sunday November 3, 2013. 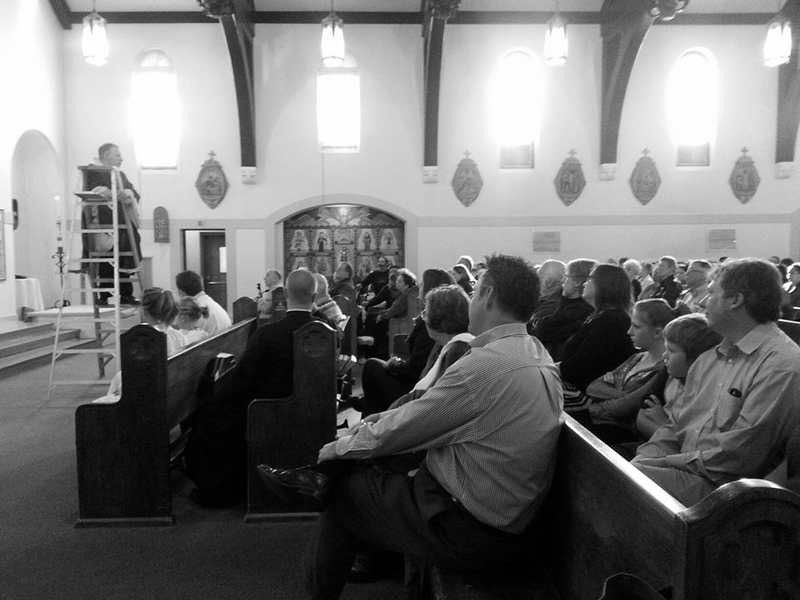 Here is a photo taken yesterday during my homily at Sacred Heart Church. I did not have a sycamore tree so I used a ladder to get to the point.